Mood: Hey, I fully figured out how to ride my bike, and it only took 40 miles! One thing biking has over running is that you can cover a LOT more ground. This opens up new places to me that are too far away to run, but perfectly reasonable to bike. 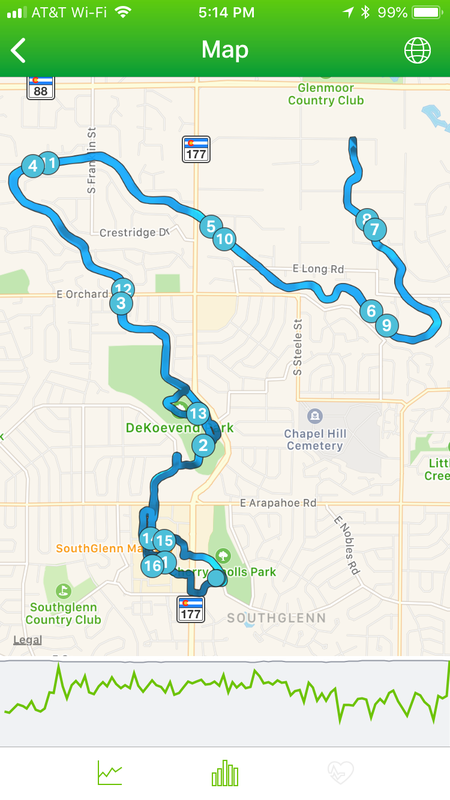 I have yet to really take advantage of this advantage, but today I dabbled my toes briefly in the waters of going further by going a few miles past where I would usually venture on the Highline Canal Trail. 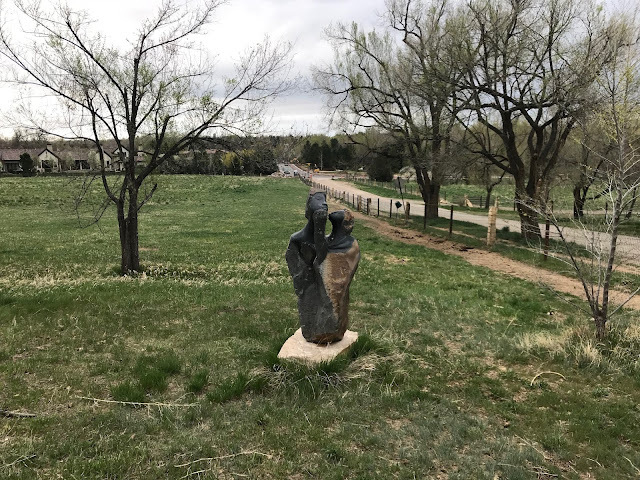 I've been this far before, but only on very rare occasions, and as a result of this venturing, I got the above photo of a cool statue that is posted just off the canal trail. I took this picture right about at the 8 mile mark, and I'm glad I did, because it's a cool statue. Also, today I figured out exactly how to get my bike into it's highest gear. I had been annoyed that the highest gear still didn't allow me to pedal much while going downhill, and thus prevented me from really gaining top speeds that I was thinking I should hit. I realized this morning that I needed to twist my gear shifter even further that I originally had thought in order to shift from medium gear to high gear, and suddenly I was zooming down a hill. That's on me for being a dummy, but at least I've finally figured out how to reach max speed on my bike, which is a nice feature to have. It's no coincidence that my longest ride to date coincided with my ability to go faster. Adding to that the fact that I was able to change the battery in my Pokemon Go Plus, which meant that I was also catching as I rode, and this was clearly the most successful ride to date. It keeps getting better with each progressive outing, which I am taking to be a good sign. I still miss running, but the bike is proving to be a better and better substitute with each time I ride.